The City of Liberty Hill continues to experience rapid growth. 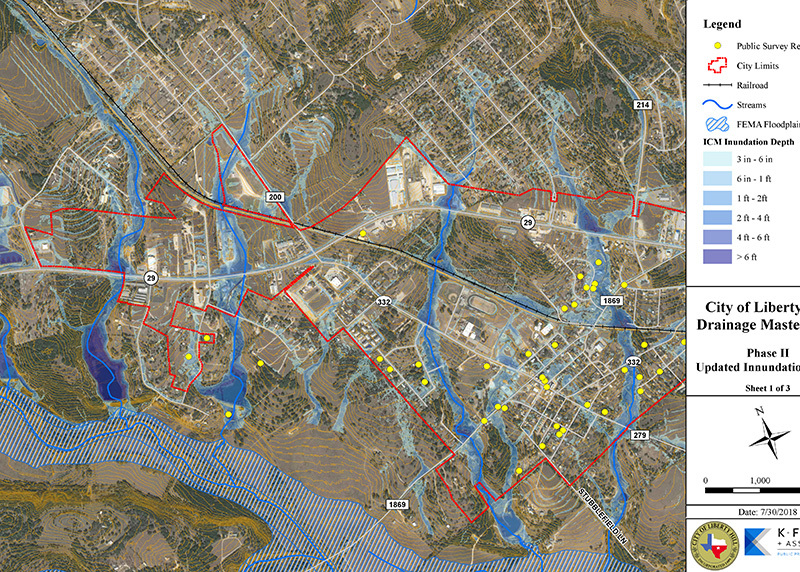 The need for a drainage master plan had become apparent with the recent flood events that the region had experienced. The planning process would allow the city to do three things: identify and fix current problems; responsibly regulate future development to avoid future problems; and identify sustainable funding sources to treat drainage as a city-owned utility. 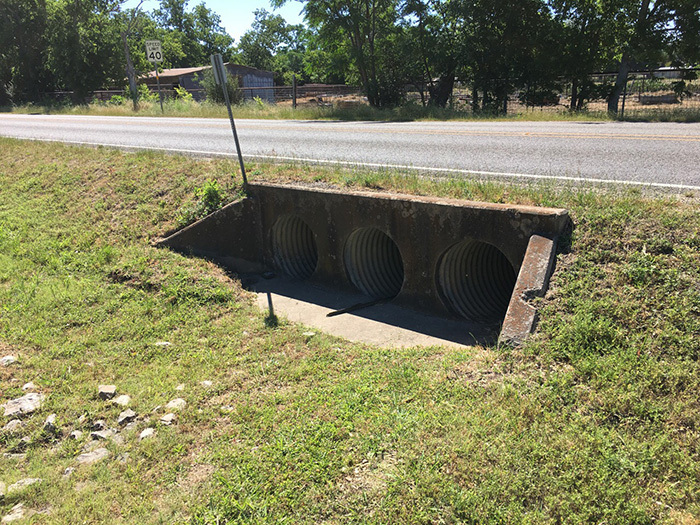 The city of Liberty Hill contracted KFA to perform a comprehensive city-wide drainage study to identify current drainage problems and provide short and long-term solutions for addressing drainage concerns throughout the city. The Drainage Master Plan was split into two phases. The objective of Phase I was to develop a broad and all-inclusive understanding of the city-wide drainage concerns in terms of locations, causes and risks. The objective of Phase II was to develop prioritized Capital Improvements Projects (CIP), review the city code of ordinances and design manuals at the time, recommend revisions to the city code and explore various options for implementation of a Drainage Utility Fee. In Phase I, seventeen problem areas were identified and were analyzed through existing conditions modeling, meetings with city staff, independent KFA field visits and public outreach efforts. 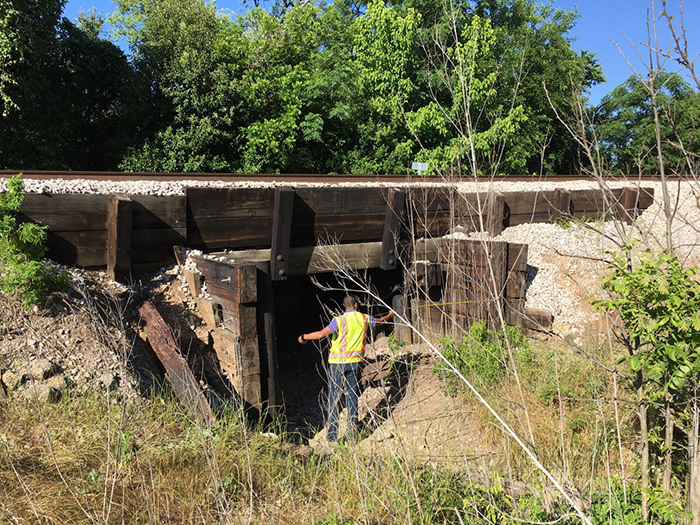 During Phase II, KFA developed conceptual solutions, cost estimates, estimated construction schedules and project cut sheets for each of the 17 problem areas. A city-specific ranking method was developed to systematically compare the projects and objectively prioritize the CIP. Eight criteria were identified based on discussion of community values, risk, and typical project processes. After the scoring criteria and weighting were established, KFA objectively scored each individual problem area, developing a final ranking of all proposed projects. During Phase I and Phase II, KFA explored potential regional detention sites throughout the city based on public and staff input, available open space and most efficient hydrologic locations within the watersheds. Finally, KFA conducted a review of the current city drainage policies to identify opportunities to improve drainage regulations to ensure responsible development occurs as the City continues to develop and expand. The following three recommendations were made regarding the drainage policy: implementation of a stormwater utility fee, minor code revisions to Drainage Policy and the development of an operations and maintenance program. The city recently adopted the drainage master plan. Next steps will include design and construction of the identified CIP projects and the implementation of a stormwater utility fee. This project is predicted to allow the city of Liberty Hill to responsibly develop and provide the public with protection from future flood events. 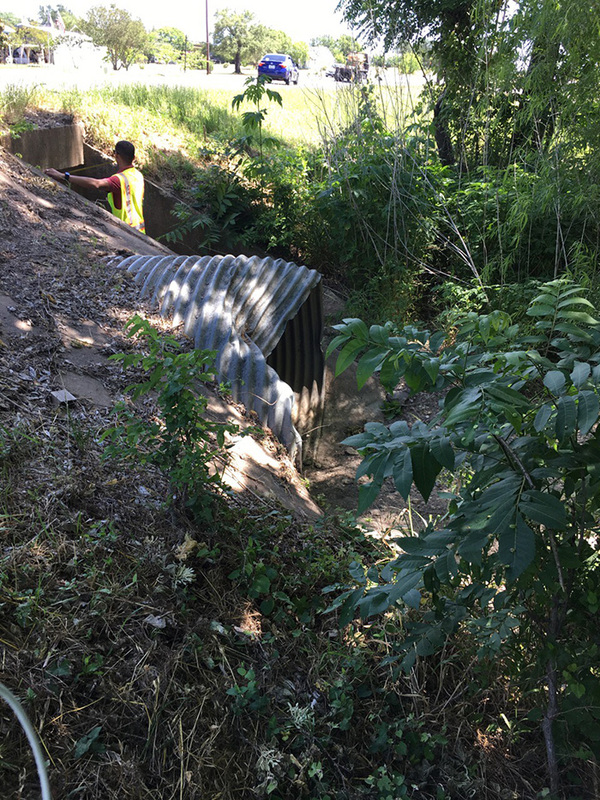 KFA performed a comprehensive city-wide drainage study to identify current drainage problems and provide short and long-term solutions. The city recently adopted the drainage master plan.